Karina's Kreations: Big on You Catty Case! Big on You Catty Case! I'm casing the new occasions catalog for my swap tonight. Can you find the original card in the new catalog? My card uses the new Big on You stamp set. 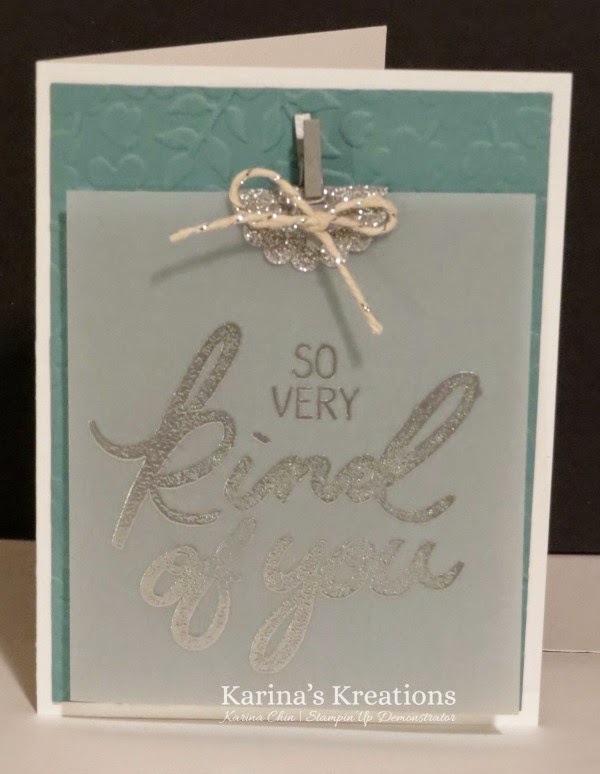 I embossed it with versamark ink and silver embossing powder on Vellum card stock. What do you think? Pretty cute? I also used the new Spring Flowers Textured Impressions embossing Folder.You'll want to get this folder. It's super cute.